Cal Ripken Jr. is a retired MLB baseball shortstop and third baseman who played 21 years for the Baltimore Orioles. He is considered one of the best shortstops and third basemen in baseball history. 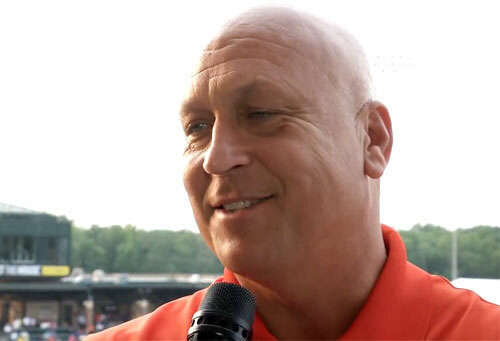 Ripken, nicknamed “The Iron man”, retired from baseball following the 2001 season after 21 seasons with the Baltimore Orioles. His name appears in the record books repeatedly, most notably as one of only eight players in history to achieve 400 home runs and 3,000 hits. On July 29, 2007 he was inducted into the Hall of Fame after receiving the third highest voting percentage in history and collecting the most votes ever. PFP Sports & Celebrity Talent Agency is a top booking agent for motivational sports speakers and celebrities. If you would like to book MLB stars like Cal Ripken Jr. for a speaking engagement, personal appearance or special event, you can request Cal Ripken Jr. agent and speaker information from PFP Sports & Celebrity Talent or call 800.966.1380.